If you are looking for home remedies for beard hair growth, then this is the article for you. These 7 super simple DIY beard oil recipes actually facilitate hair growth to make your beard grow faster, stronger and more luxurious. 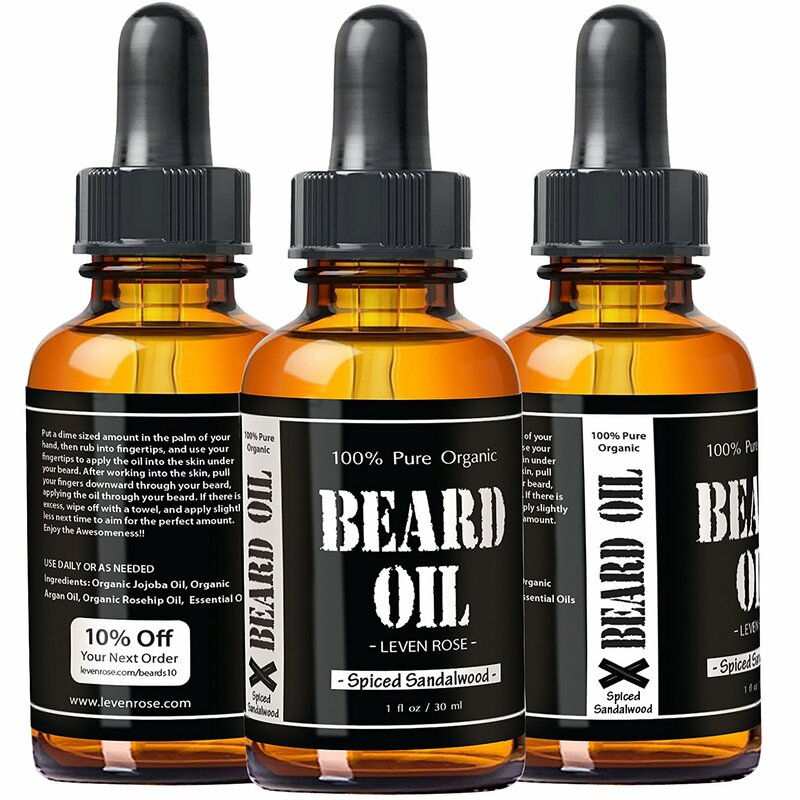 If you are experiencing stunted growth or are experiencing hair fall, then these all-natural beard oil growth formulas will certainly help you. 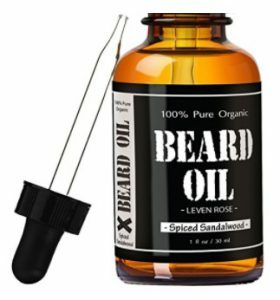 Before we study how to make these DIY homemade beard oil recipes, let us briefly outline the causes of hair loss in men. Do consult a doctor or dermatologist if this may be causing the hair loss in your case. If not, you can start using the following beard conditioner and beard oil recipes to ensure steady growth of beard. Making beard oil at home is simple and only requires a few inexpensive supplies to get started. Properly storing your beard oil is important in preserving it for as long as possible. For best results, it is recommended to use an amber glass bottle with a glass dropper for extraction. Luckily, these are very inexpensive and quite easy to find. They go for about $1 per bottle. I like to use a funnel for pouring my finished oil into the bottle. Trust me, it’s very frustrating when you’ve prepared a great beard oil, but you spill it all over the counter as you’re trying to get it into it’s bottle. You can get 6 of these for only $2 and you’ll be really glad you got them. Mix the oils and store them in a dark/amber colored bottle. Coconut oil stimulates hair follicles to enhance growth. Use your fingers to massage coconut oil in the beard or use a cotton wool dipped in above mixture. Use this DIY beard oil recipe for growth every night at bedtime. You can shampoo off the next morning. Indian gooseberry or Amla is a traditional Ayurvedic remedy for hair loss which can be purchased at your nearest Indian store or online. Massage the oils in the beard each night. Amla oil is rich in antioxidant Vitamin C which prevents the hair from drying and breaking. Grape seed oil is non-greasy and provides the hair and skin with high levels of Vitamin E which is essential for hair growth and healthy hair. Apply it overnight on the beard and face. Shampoo and condition the beard as usual. This sweet smelling DIY beard oil recipe is ideal for daily use and gives rise to a luxurious beard. Cinnamon contains anti-inflammatory properties that fight hair loss. Lemon essential oil protects the skin and hair from oxidative stress. Rosemary herb has been used since centuries for fighting all kinds of hair issues. Tea tree oil fights dandruff and fungal infections to stop hair loss. Mix all oils in a glass bottle with stopper. Apply this oil daily. Make sure you do a skin test first to ensure you are not allergic to any of these oils. Your skin might sting and tingle a bit in the beginning, but it should get better in a while. Variation: If you find peppermint is too strong, replace it with a few drops of Vitamin E oil. This is a simple beard oil recipe requiring just two ingredients. Eucalyptus essential oil is anti-inflammatory and antibacterial in nature. It promotes hair growth and fights skin infections. It is also known to relieve cold and sinus infections. In the palm of your hand, take some of the above mixture. Apply it to beard by massaging it into the skin. Leave the mixture on for 20 minutes. Rinse with cold water. Use this fragrant beard oil recipe growth formula daily. Rosemary is known to promote hair growth while Lavender is calming and healing in nature. Jojoba oil is very light and gets easily absorbed into the skin. Coconut oil is antifungal, moisturizing and healing. This DIY beard oil recipe is one of the best home remedies for beard growth. Add the Jojoba carrier oil in an amber colored bottle. This woodsy formula is known to give luxurious hair growth. Tea tree oil fights infection and Cedarwood is antiseptic, anti-inflammatory and fights infections to stop hair fall. Use the oil daily after bath. Repeat application at night time. Mix well. Store in a dark place. This masculine, citrusy scent is ideal for bearded men for daily use. It contains lime essential oil which is antioxidant and reduces oxidative stresses and photo-damage. It also contains rosemary essential oil and cedarwood oils that help boost sparse looking beards. If you’re looking up beard oil recipes, you’re probably looking at spending over $50 in ingredients (at least). 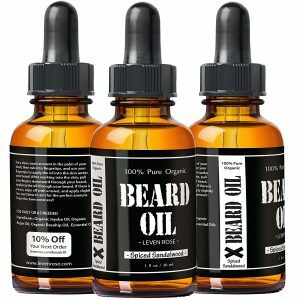 If you haven’t tried beard oil before, a much lower cost option than making your own is buying from one of the many beard oil makers out there. SOFTEN AND SOOTHE BEARD – Keep your beard healthy, groomed, and tamed naturally with Leven Rose Natural Beard Oil. SAY GOODBYE TO BEARD DANDRUFF – Sandalwood Essential Oil increases beard and hair growth while calming irritation, soothing itch, and treating dandruff or beard druff. Mixed with spicy clove notes, the scent of Sandalwood is a classic yet warm, mature and refined, rich, dapper, deep smooth wood smell. SOAKS IN QUICKLY – Don’t turn your beard into a 30 minute beauty routine. Run natural oil through the beard after showering to treat dry, coarse, and unruly beard hair. Calms under-beard skin with soothing Jojoba Oil and moisturizes beards for a tidier, groomed beard look. EXTEND SHELF LIFE – Dark amber glass bottle and glass stopper shield oil and make it last longer as oils are light sensitive & must be stored in dark amber bottles to protect them from oxidation. 100% MONEY BACK GUARANTEE – Leven Rose offers no-risk purchasing for your beard oil. Don’t absolutely love it? We’ll refund it – no questions asked. Sandalwood essential oil is steam distilled from the Sandalwood tree and has a smooth, warm, rich mature woods scent. Spiced Sandalwood is a mix of Essential Oils with the predominating scent of Sandalwood – a sweet wood with warm and dapper scent. Clove adds dynamic to the Spiced Sandalwood Beard Oil making the full-bodied smell perfect for any man. With a distinct enough scent to wear but not overpowering. Our Spiced Sandalwood Scented Beard Oil lets you take care of your beard, without smelling like a girl (or something else). Try these 7 easy DIY beard oil recipes to fight beard hair fall. However, do make sure that you also eat a protein rich diet. If needed, talk to a doctor who can address the root cause of your Alopecia.